Ukraine is now importing almost the same volumes of gas from the Russian Federation and the European Union, Maksym Beliavskiy, Head of Public Relations and Press of PJSC Ukrtransgaz, said on Wednesday, according to Ukrainian online newspaper RBK-Ukraine. "We are steadily accumulating fossil fuels in our storages in the mode of 65 million cubic meters,” Beliavskiy said. “The mode lasts for one month according to the approved balance sheet of National Joint Stock Company Naftogaz Ukrainy. As for revenues of gas from Russia and Europe, we have the same volumes - approximately 26 million cubic meters both from Russia and from Europe." In addition, Beliavskiy also said that all of the facilities of the gas transportation system of Ukraine were working in their regular mode. 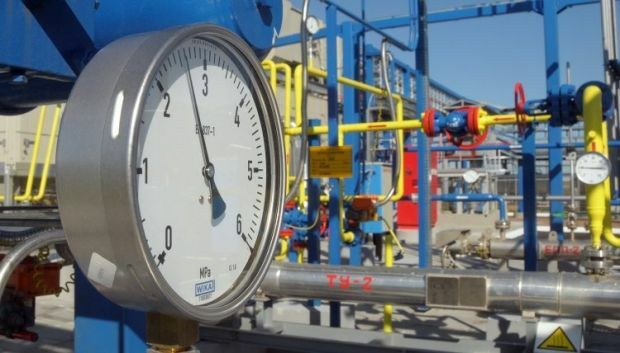 "All of the elements of the Ukrainian gas transport system are working in normal mode process. The process of diversification is over. The pressure in the Voyany-Uzhgorod gas pipeline, through which natural gas flows to Ukraine, is consistently high, … at almost 44 atmospheres," he said.